Sylvia, a Colorado resident since childhood, moved to Salida with her husband, John, in 1978. 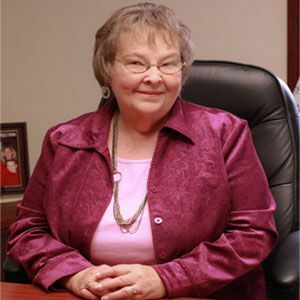 For thirty years she worked with John and his brother in the construction business, building homes in and around the Arkansas River Valleyand learning the business of real estate from the inside out. She became a Realtor and Broker Associate for First Colorado Land Office in 2009. Following the guidelines of FCLO, Sylvia is actively continuing her education in the field. She is working towards her GRI and is in training to take over the Property Management section of the company. Raised in the shadow of the Twin Sisters Mountains, and a true enthusiast of the area and all it has to offer, Sylvia has an extensive knowledge of Chaffee and Fremont Counties. A warm, empathetic, “people person,” Sylvia excels at understanding the visions of her clients and helping them find the properties best suited to fulfill their dreams. Sylvia is on the board of the Salida Pregnancy and Family Center, is active in her church and committed to supporting the growth and unique character of her chosen town. She and John have two daughters, both now grown and living in Colorado. Recreational time is often spent boating and fishing or exploring on their ATV. Sylvia was great to work with. She was always there when I needed her. She was efficient and caring through the whole process. I had the pleasure and great fortune of working with Sylvia Foster in purchasing a home in the Chaffee County area. Not only was she extremely knowledgeable about real estate on the market, she went above and beyond in allowing me time to view the properties without feeling rushed. She was with me at the inspection; she provided valuable insights and information about the neighbors and the community. She was willing to research and provide answers to all my questions. Without reservation, I would highly recommend her. She is not only an outstanding real estate agent, she is a wonderful person. I do so want to let you know that we truly appreciate all your help in the sale of our house. We truly feel you went over and above your role as our agent. I would recommend you to anyone. Your honesty and willingness to help in anyway needed was a life saver.Your gift to us of the print of the Two Sisters was just perfect. It is the first thing we see when we wake up in our bedroom. Many Many Thanks!